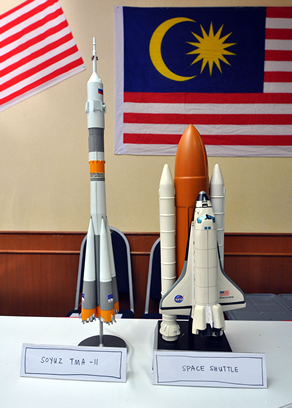 BANGI, 3 Sept 2012 – Research universities in the country including The National University of Malaysia (UKM) should pool their resources together rather than competing with one another to develop Space Sciences. and avoid competing with one another for scarce investments. The CEO of the country’s leading aerospace company, Astronautic Technology (AT), Dato’ Dr Haji Ahmad Sabirin Dato’ Arshad who made the suggestion said that would avoid them from competing with one another for scarce investment. He suggested that they should also collaborate with the private sector. Speaking at the third ANGKASA Seminar Series organised by UKM’s Institute of Space Sciences (ANGKASA), he said individual institutions should also not be allowed to attempt such major projects without coordination. It has to be a national strategic effort which the government should helm. The country also needs a Research & Development roadmap as there is none as yet. Dato’ Dr Ahmad Sabirin said the present situation of the research universities playing one-upmanship and jealously guarding their work from each other is counter-productive and is setting back Malaysia’s Space Sciences development. He said even with smaller projects like Nano Satellites, there are risks despite the cheaper cost. The smaller the satellite, the more vulnerable it is to radiation and being damaged by space debris. The best bet is to send several nano satellites and accumulate data from them. Citing satellite and astronaut launches, he explained that the government has had to consistently intervene or participate in projects which ran into financial obstacles, the latest being the RazakSat project. The RazakSat was manufactured by AT with American input and was launched successfully in 2009 but is now having problems with sending back signals. The project cost US$17 million (RM 60 million) at that time. He lamented that in the 2012 Auditor General’s report, AT was taken to task for the shortcomings. But he added that if Malaysia wants to be serious about space exploration, it must be willing to accept such mishaps. Other countries too have had their satellites malfunctioned predicting that there will be other failures in Malaysia’s space programme, something that the country have to accept. He said Malaysia cannot afford to see several universities vying for limited government grants that would have to be divided between them. Dato’ Dr Ahmad Sabirin said even the MeaSat 1 telecommunications satellite that was supposed to be a private venture by Binariang in 1996 needed a lot of generous government grants for it to become a reality becoming Malaysia’s first pay satellite television service. Without the grants, not even the owner of Binariang who had very deep pockets would be willing to take the risk, he said. He recalled that local scientists contributed to the technology for MeaSat but most of the manufacturing for such a complex system came from the United States. The total cost including launch has not been disclosed by either MeaSat or the government, but the investment in the satellite alone was US$70 million (RM245 million at the exchange rate then). That did not include the US$19 million (RM67 million) that had to be paid to underwriters and legal guarantees to the suppliers. Now, after 16 years none of the research universities would be able to afford the skills for such a venture without government assistance. Even the private sector in the USA depended on US federal funds, such as SpaceX, which now can go ahead with its first cargo-shuttling service to space after receiving a US$1.6 billion (RM5 billion) contract from NASA. As for sending astronauts in space, he said such a high-profile venture has to do more with national pride rather than actual scientific research for a developing country. 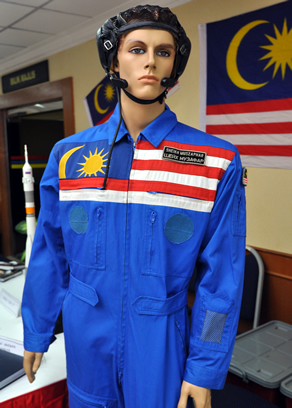 The value from experiments is rather limited because the first Malaysian astronaut had a relatively short time in the International Space Station in 2007. According to ANGKASA it cost RM27 million to send Dr Sheikh Muzaphar Shukor Sheikh Mustapha to space on a Russian rocket but that was mostly offset by a bilateral trade deal with Russia on payments for palm oil from Malaysia.